If you know me you probably already know about d.talks, but let me fill everyone else in. Back in 2012, amery calvelli, host of CJSW's Space + Place pod cast, got an idea. Why not pull together a group of like-minded design-aholics (don't let this scare you, its a good thing) to discuss the potential for a series of design talks or maybe even a design-related film festival here in the city. With advice from the City of Calgary's coordinator of Urban Design and Heritage, David Down and Katherine Wagner, senior architect at dialog design, and after several debates in amery's living room, architecture photographer James McMenamin, engineer Gerd Birkle, artist Jayda Karsten and myself, happyurbanist Maureen Hodgan, came up with d.talks*. 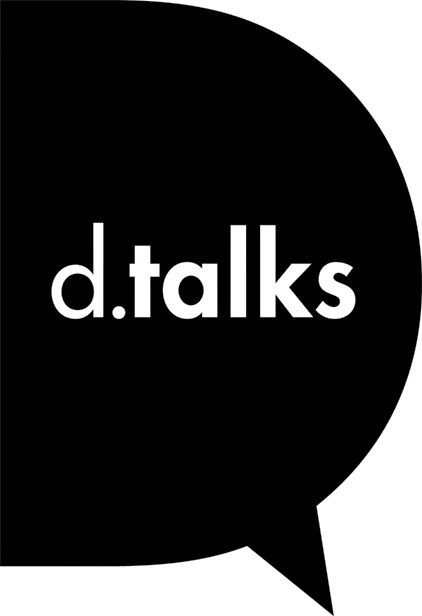 Briefly d.talks is a not-for-profit organization dedicated to fostering conversation about design and the built environment in Calgary. Our mission is to create a space for other design-aholics (remember, a good thing) to find inspiration and share ideas about design. We host unique events in pop-up locations four times a year – they include feisty panel discussions with local experts, travelling exhibtions, and design film screenings, all in an informal party-like setting. And the audience is diverse. We support multiple perspectives from students, artists, interior designers, architects, landscape architects, engineers, graphic designers, planners, urban designers and frankly anyone interested in design, in an effort to find common ground and nurture cross-disciplinary collaboration –ultimately to first foster design awareness, followed by design action here in our city. What does success look like for those addicted to design? Let's start with ensuring Calgary has a creative community engaging in critical, thoughtful and collaborative discussion, collectively raising the bar on the importance of design here. How about making sure we retain creatives? Improving the job prospects for those who want to work outside of the oil and gas sector (we love you too petroleum engineers and geophysicists but let's spread the love job-wise). Finally we have set our sites on tracking (and influencing) Calgary's physical and policy changes that have come about as a result of various design interventions. We know design and design-thinking is crucial for improving the quality of life here, and by the looks of our attendance, many of you think so too. We hope you continue to come and be a part of the conversation. For those of you who haven't been to a d.talks event yet, why not come and find out the up side of addiction? And unlike most detox regimes, this doesn't include fasting or deprivation of any kind.